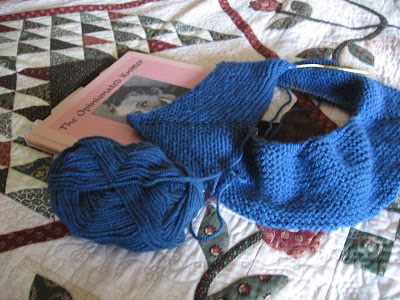 I'm knitting along, making a Baby Surprise Jacket. It's my very first sweater, and so far I'm enjoying it. I've been reading the rest of The Opinionated Knitter as well, and I think it's a book I will really enjoy. I already have plans to use some of the other patterns. Go visit small things to see what other people have been knitting and crocheting this week! EZ is very addictive! The BSJ is looking good and the book is a great read ... I've got all of hers and re-read them every few years to jump-start my creativity thoughts! Loving all the BSJ out there. This looks great!